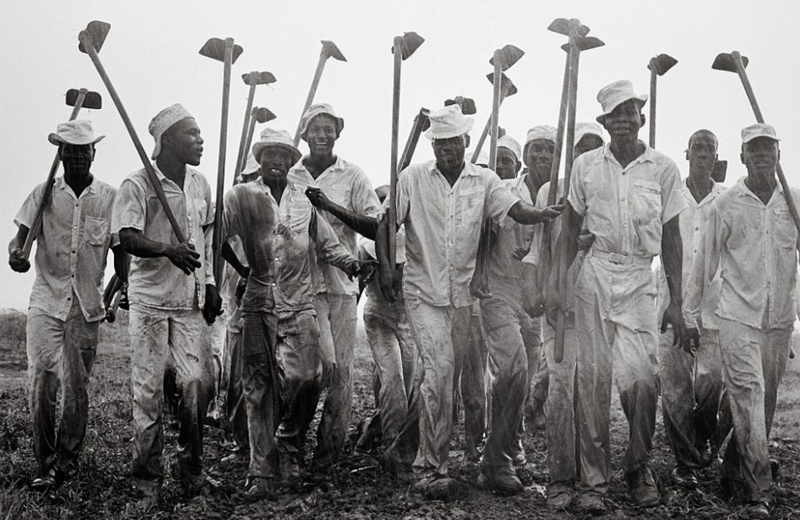 The Edwynn Houk Gallery, New York, this weekend closed an exhibit of fascinating images taken within Texas prisons during 1967 and 68. 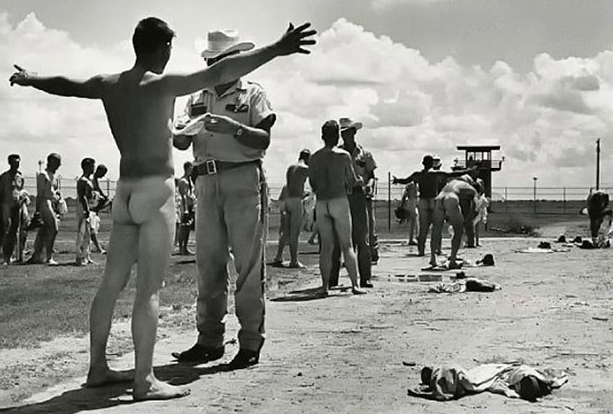 All of the photos were captured by 73-year-old Danny Lyon with his aim being to ‘somehow emotionally convey the spirit of imprisonment shared by 250,000 men in the United States’. That’s what he wrote in the foreword of his book ‘Conversations with the Dead’ at least. The book has recently been re-released and contains an array of images, illustrations and notes from inmates documenting what life was like at the time. Check out the vintage pics below. In an interview with Phaidon Lyon spoke of how the US prison population has ballooned since his original visits. 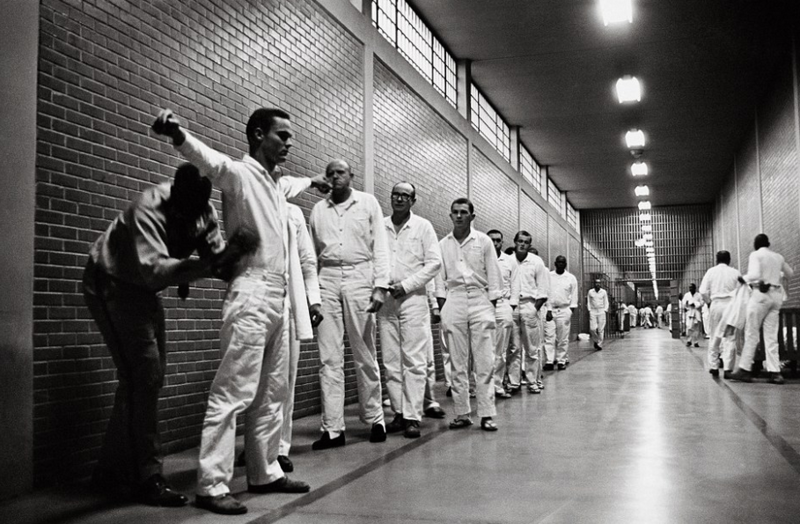 If back in 1968 I thought I could bring down the mighty walls of the Texas prison system by publishing Conversations of the Dead and the work of Billy McCune then those years of work are among the greatest failures of my life. 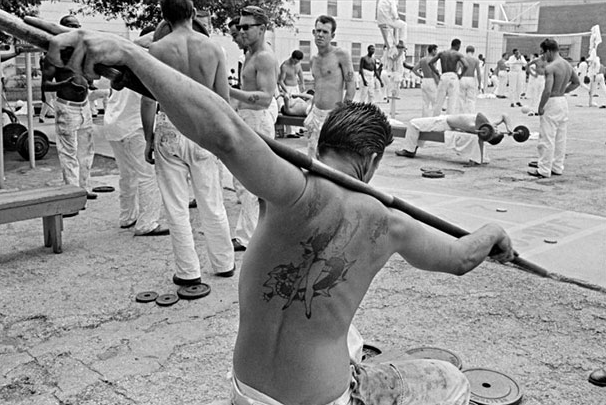 What is it about prison life that is so intriguing for those of us on the outside?